Alum Chine Gardens were said to be the largest chine of Bournemouth. History says it got its name from the local alum mining industry located near the gardens during the 16th century. In 1805, when William Dean bought the whole land area, the gardens were not founded. Later in 1920’s, he proposed for the foundation of the gardens for the beautification of the city. At present, the gardens have turned out to be an important site for the tourists and locals to spend few leisure hours. Features like shaded path, Treasure Island –themed children’s park, a paddling pool, a tropical garden on the cliff face and bowls have been added to offer entertainment for visitors of all age groups. 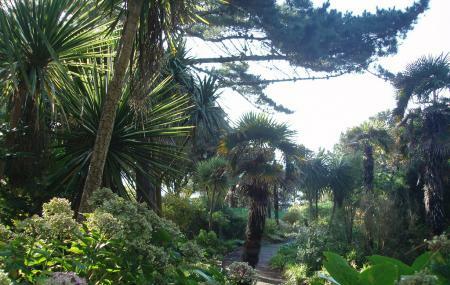 From the garden, if you move down you will see the Blue Flag award winning Alum Chine beach. Catering and toilets facilities are available within the adjacent Argy II Gardens. Recommended time to visit is 02pm– 06 pm. Ask the authorities for the timings of the children’s play area and other features of the gardens. Catch land train from Bournemouth Pier. How popular is Alum Chine Gardens? People normally club together Bournemouth Land Train and Charminster Spiritualist Church while planning their visit to Alum Chine Gardens. People also prefer to end their day with Alum Chine Gardens.